A seven track album was giving away at the Insane Clown Posse seminar today. 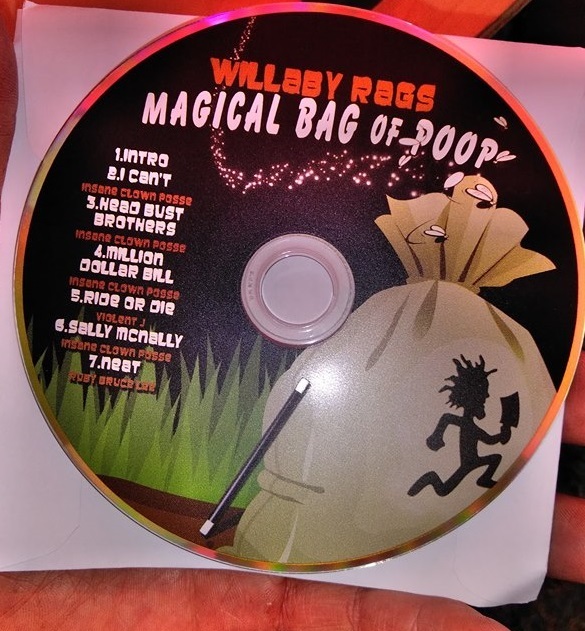 The album is entitled, Willaby Rags Magical Bag of Poop. It features 4 tracks by ICP, one track by Violent J and one track by Ruby Bruce. The album art can be seen below. We will be posting the audio later. So, stay tuned.